An all-Mozart programme, with the mega-talented Jean-Efflam Bavouzet as soloist in two piano concertos, was always going to be a highlight of Manchester Camerata’s winter season. 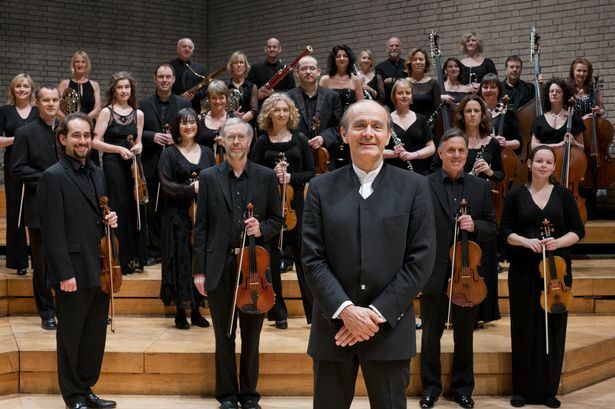 It was also the final appearance in the Manchester series by music director Gábor Takács-Nagy, whose personal inspiration always seems to lift the Camerata musicians to outstanding playing and imaginative insight. And the presence of microphones in the Royal Northern College concert hall suggested that here we might have the makings of another CD to match the five-star-earning one of Haydn concertos by the same personnel. You might have expected the little string works that served as foils to the two concertos to be approached with slightly less care and devotion. But from the first notes of Mozart’s Symphony no. 1 (written by an eight-year-old, for goodness sake!) it was clear that was not the case. With everyone bar cellos and basses standing, rather than sitting down, the music was lovingly presented, with spritely energy and a huge variety of tone and articulation. The central movement was a magical – and, briefly, passionate – nocturne, and the finale amazed with vigour and life. The same qualities were there in the Divertimento in B flat K137. Gábor Takács-Nagy goes a long way beyond the authenticists’ concepts of ‘rhetoric’ in classical style, and even if it’s not the way Mozart might have heard it, his approach makes fascinating listening now. What of the concertos? The wind players were placed centre-stage, with the strings, still mainly standing, enfolding them around. Jean-Efflam Bavouzet, by now a favourite with Manchester audiences through his appearances at the Bridgewater Hall with both the Philharmonia and BBC Philharmonic, needed no introduction – his playing was fluent, illuminating and perfectly judged (he melts into the background when others have the spotlight). For me the greatest fascination came in Piano Concerto no. 17 K453, where there were lovely oboe and bassoon solos in the slow movement to match the piano’s eloquent melodies, and piano cadenzas where Bavouzet did his own near-jazzy, almost-Ravelian thing, to take Mozart’s boldness a few stages further. The finale was like a Magic Flute scene in instrumental terms. Piano Concerto no. 18 K456 was equally expertly done, and Bavouzet and Takács-Nagy between them made its variations turn into a dialogue of wrath and plaintiveness to compare with the slow movement in Beethoven’s fourth. Cadenzas this time were pretty strictly from the book, but none the less appealing. And he gave us two minutes of Massenet as an encore, to prove he could get a big sound out of that Yamaha piano, too.